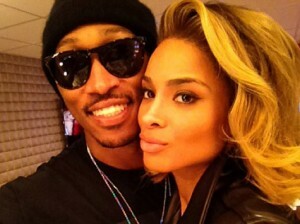 R&B singer Ciara Princess Harris, known simply as Ciara, got engaged over the weekend to rapper Future, 29. Ciara’s 28th birthday was Friday, Oct. 25. She shared her happy news with her more than 5 million Twitter followers on Sunday, Oct. 27. Rumors had been circulating that the two were engaged earlier this year when they got matching ring finger tattoos. Ciara has an “N” tattooed on her ring finger for Nayvadius, Future’s given name, and Future has the letter “C” tattooed on his ring finger. The 15 carat engagement ring features a classic three stone design with additional diamonds along the shank. 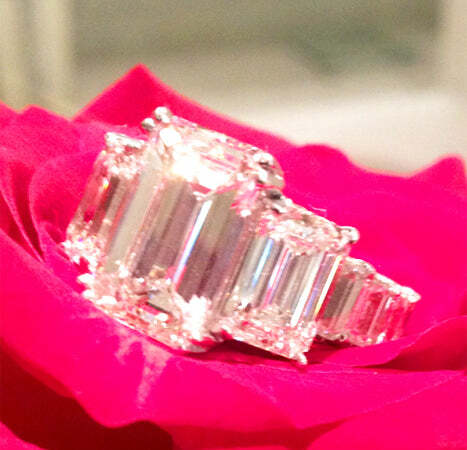 The ring is similar to her friend Kim Kardashian’s engagement ring from Kris Humphries. We offer a similar style here. Avianne & Co. is based in New York and has also created custom jewelry pieces for celebrities such as Nicki Minaj, Chamillionaire, and Floyd Mayweather. The couple has dated for about a year. This will be a first marriage for both Ciara and Future. No wedding date has been set yet.